Dawnbreaker provides hundreds of webinars every year within our agency programs. In 2019 we are pleased to make many of our finest webinars freely available to anyone who would like to learn about these topics. Please join us for either the Prime Contractor and/or the Commercialization series. As space is limited, it is important to register in advance. Remember, there is no registration fee. The Prime Contractor series provides you with the opportunity to learn directly from representatives of some of the world’s largest government contractors . Learn about their interests and how to develop a relationship with them. The Commercialization series steps you through many of the important considerations that must be made when looking to commercialize an advanced technology, product, or service. We look forward to having you join us! How does a small business align with some of the biggest names in defense contracting? Where would one even begin? This webinar series was designed to address many of the common questions involved with partnering with a prime contractor. Many large corporations, including Lockheed Martin, Raytheon and BAE Systems, seek out small technology firms with which to work. These small businesses bring fresh new ideas and coveted technologies to larger platforms. The trick is just knowing where to begin. Please join our line-up of guest hosts, who all aim to answer the questions of the small business related to partnering with primes. BAE Systems is the third largest defense contractor in the world, generating approximately 23.6 billion a year in government contracts. BAE Systems’ Electronic Systems sector is leading the way for Small Business Innovation Research (SBIR) outreach for the company. As part of its All-Source Innovation initiative, BAE actively sources SBIR technology to complement its internal and collaborative R&D efforts. BAE works with companies in the early stages of the SBIR effort to ensure the transition path into its product base is well defined and structured for successful implementation in Phase III. Please join Michael McComas from BAE Systems’ SBIR Liaison Innovation Center to learn more about partnering with this dynamic defense prime contractor. Lockheed Martin is the largest defense prime contractor in the world, generating approximately $43.5 billion a year in government contracts. Lockheed Martin engages with small businesses through the Federal Government’s SBIR/STTR Program to assist small businesses in the development of novel and innovative technologies to bring these emerging technologies to the company’s products and services. Lockheed Martin leverages federal agency R&D funding to assist with the advancement of innovative technologies that align to current and future program needs. The transition of technologies into programs of record ultimately can drive affordability into legacy and emerging programs and helps bridge the technology gap between current technologies and future innovation. Please join Craig Owens as he discusses best practices and how to align with Lockheed Martin. 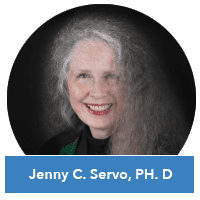 Commercialization Strategies – Jenny C. Servo, Ph.D. Without a well developed commercialization strategy and the resources needed to implement it, your technology is unlikely to make it to the marketplace. Learn how your corporate mission and vision help frame the strategy(ies) that you decide to pursue. Learn what it takes to implement the strategy of your choice and how to commercialize a rich technology platform. Those who regularly do business with the federal government know all too well the hurdles involved with traditional procurement practices. Other Transaction Authority (OTA) refers to a method of expedited procedures that enable the Department of Defense and several other agencies to acquire technologies from eligible small businesses, without the constraints of traditional contracts. But where does one begin on this brand new journey away from the FAR system? Tim Greeff, CEO of NSTXL, is an expert on OTAs and routinely works with small businesses to connect them to larger opportunities. 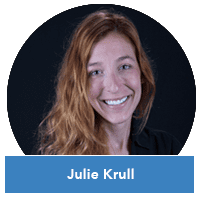 In this webinar, he will answer common questions on OTAs, discuss the pros and cons, and guide the small business through the necessary steps to be considered for an OTA. We hope you join us! 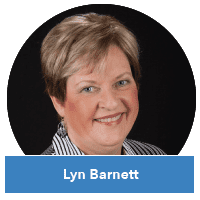 This webinar covers how to use the market build up method to establish your niche market opportunity and make 5-year revenue projections using an example technology and publicly available information. This information is helpful for new firms trying to get a first stab at the opportunity for a technology as well as established firms interested in learning a new method for estimating revenues and estimating niche market size. Do you want to maximize your future product revenue or licensing royalties? Analyzing product costs should begin early in the concept and design phase of product development but should not be just a “back of the envelope” estimate. 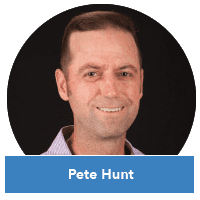 This webinar will provide the tools and resources to enable you to begin an iterative process for understanding all of your costs and accurately estimating your cost of goods for your financial analyses and future success. Valuation Strategies – Chris Kaufman, Ph.D.
How much is your company worth? How often have you asked yourself that question? 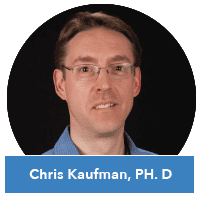 This webinar, presented by Dr. Christopher Kaufman, will introduce different methods that are commonly used to value a company’s worth and discusses them both from the buyer and seller’s perspective. The Technology Partnerships Office serves the needs of both NOAA scientists and US companies, large and small – that are looking to partner with NOAA or license technologies. 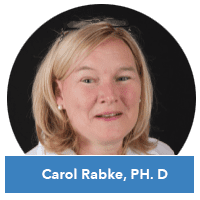 Phase I and Phase II NOAA SBIR awardees are invited to attend this webinar to learn how and when to consider using a Cooperative Research and Development Agreement (CRADA) to advance their research or for testing and validation of technologies. The webinar will provide an overview of useful agreements and other services the NOAA Technology Partnerships Office can provide to facilitate your networking within NOAA. Hydronalix is the epitome of the SBIR small business success story. The company’s flagship product, EMILY, short for Emergency Integrated Lifesaving Lanyard, was developed with the help of the Department of Defense and National Science Foundation SBIR programs and is used today in over 30 countries around the world. Still loyal to its roots in Arizona and its “Made in the USA” philosophy, Hydronalix has gone from a one-person operation to a hugely successful small business. In this webinar, CEO Anthony Mulligan explains how he utilized SBIR to get where he is today, lessons learned and best practices, challenges and words of wisdom for other aspiring small businesses. Please join us for this FREE, live webinar!